Connecting your Epages shop to the SendCloud panel! First of all log in to the SendCloud Panel. We are going to install the SendCloud App from within ePages. 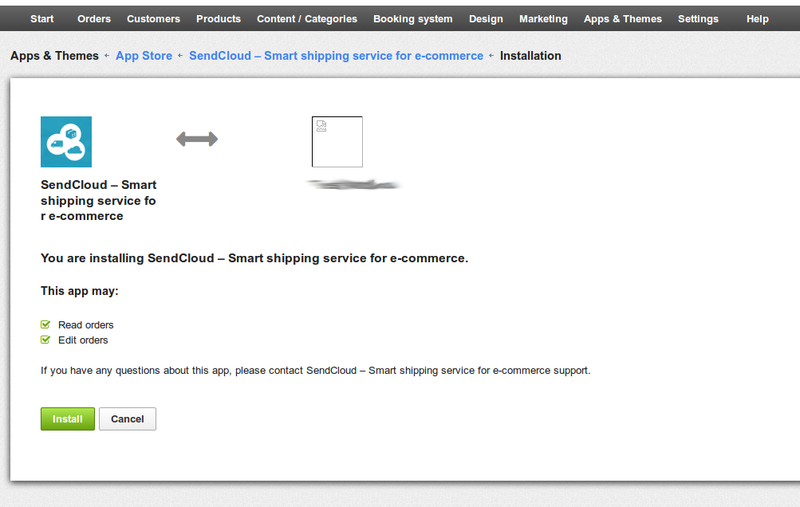 During installation of the app you are redirected automatically to the SendCloud Panel. If you are logged in SendCloud the Integration is immediately set up properly and you don't have to login during this process. So be sure that you are logged in to the right SendCloud account which you want to use in combination with our ePages store. When done, go to your ePages store and enter the app store. Go to your ePages backend. Login the administration panel and enter the app store. The app store can be found in the App's and Themes menu. 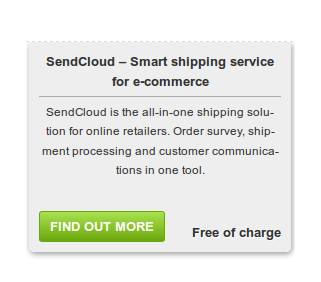 Search the SendCloud app and hover with the mouse over the icon. Click on "Find out more"
Click on the install app button and accept the permissions. When installed correctly you will be re-directed to your SendCloud panel. In the 'incoming orders' you will see your ePages orders. Also you can find your ePages integration and the settings in the connected shops under settings.